Improvisation is Something We Live will feature high-profile guest speakers and artists including scholar, Dr. Rinaldo Walcott, Experimental Turntablist, Slowpitch, Guinness World Record holder in freestyle, Emcee D.O., Canada Research Chair in Interactive Media and Performance, Dr Charity Marsh, Professional Dancer, B-girl Lopez, Turntablist neural thumb and Beat Technician & Improviser, Fresh Kils. Blending performance and discussion, the colloquium will investigate the ways in which improvisation, in its many incarnations as part of hip-hop culture, can be a survival strategy for members of marginalized populations, and a way to work beyond conventional limits of cultural, social, and political life. We seek to examine hip-hop art forms as modes of theoretical intervention in current modes of thought and practice; simultaneously we seek to bring together members of conventionally divided communities in a rich and productive conversation. Videos of Bgirl Lopez and Emcee D.O. See the ICASP colloquium page for full bios on artists/ scholars. Matana Roberts is a Chicago-born, New York-based alto saxophonist, improviser, composer, and sound conceptualist. Her discography includes The Chicago Project (with guitarist Jeff Parker, bassist Josh Abrams, and drummer Frank Rosaly, featuring several saxophone duos with Fred Anderson), Live in London (with pianist Robert Mitchell, bassist Tom Mason and drummer Chris Vatalaro), and the sweeping ensemble, Coin Coin Chapter One: Gens de Couleur Libres. This recent work focuses on place, the problem of memory, and tradition as recognized, deciphered, deconstructed, and interrogated through radical modes of sound communication. “There is no such thing as music. Music is not a thing at all but an activity, something that people do. The apparent thing “music” is a figment, an abstraction of the action, whose reality vanishes as soon as we examine it at all closely." -Christopher Small, Musicking: The Meanings of Performance and Listening. 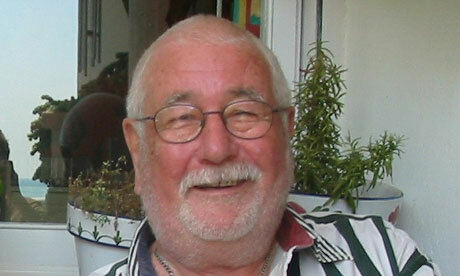 Christopher Small, a New Zealand-born writer and musicologist, argued that music is above all an active ritual involving those who play and listen to it and only secondarily a matter of “black dots.” He passed away last year in Sitges, Spain at the age of 84. He is the author of four incredible books: Schoenberg (1978), Music of the Common Tongue (1987), Music, Society, Education (1996), and Musicking (1998). This performance was part of the 6th Annual Creative Music Festival and Colloquium, School of Fine Art and Music, University of Guelph. Paul D. Miller (born 1970), aka DJ SPOOKY That Subliminal Kid—borrowed from the character The Subliminal Kid in the novel Nova Express by William S. Burroughs—is a composer, multimedia artist, turntablist, producer, philosopher, and an author/writer. 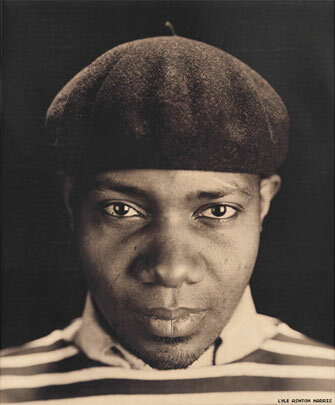 DJ Spooky’s music often incorporates electronic and experimental hip-hop, and his music has been described, by critics and fans, as 'illbient'" (hip-hop rhythms in ambient space) or “trip hop.” He is a Professor of Music Mediated Art at the European Graduate School. He has released many electrifying albums, including the well reviewed and early electronica album, Songs of a Dead Dreamer (1996). 2002 saw the release of Optometry, a widely acclaimed collaboration with avant-garde jazz players Matthew Shipp, William Parker, Guillermo E. Brown and Joe McPhee. His film compositions have also been critically well received, including the score for the 1998 film Slam, featuring poet/actor Saul Williams in the lead role. The film went on to win both the Cannes Camera D’Or and the Sundance Festival Film Festival Grand Jury Prize. The Kronos Quartet performed his music for the soundtrack to his remix of D.W. Griffith’s 1915 film Birth of a Nation. Rebirth of a Nation was Spooky’s first large-scale multimedia performance piece, and has been performed in venues around the world more than fifty times. The DVD version of Rebirth of a Nation was released by Anchor Bay Films/Starz Media in late 2008. In 2004, DJ Spooky released the book Rhythm Science, a manifesto for rhythm science: the creation of art from the flow of patterns in sound and culture. Taking the DJ’s mix as a template, Spooky describes how the artist, navigating the innumerable ways to arrange the mix of cultural ideas and objects that bombard us, uses technology and art to create something “new” and endlessly changeable—taking part in “the changing same” (Amiri Baraka). In 2008 he edited the book Sound Unbound, a collection of writing about sound art, digital media, and contemporary composition. 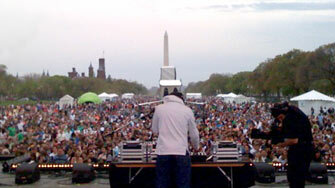 In 2010, DJ Spooky became one of the first DJ’s to put together an iPhone app based on being able to use the iPhone as a mixing tool. The DJ Mixer app has been downloaded over 1 million times. -DJ Spooky + Joshua Roman » Radiohead "Everything in Its Right Place"
-Article: Improvising Digital Culture: Paul D. Miller (aka DJ Spooky) and Vijay Iyer, from Critical Studies in Improvisation.